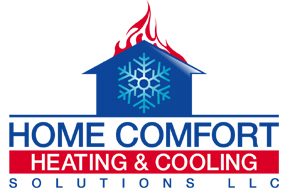 When you need to get a new furnace or have repairs done on your existing one in Branford, give us a call at Home Comfort Heating & Solutions LLC. We install and service all types of heating systems in Branford. We are locally owned and operated and do all of the work ourselves. Our HVAC company technicians do furnace inspections, maintenance and installations in residential and small commercial buildings. We have a lot of experience with oil, gas and electric furnaces. We also do work on heat pumps, geothermals and boilers. We can do the work to convert from one type of heating system to another. All of our work is done with energy efficiency in mind. We recommend that our customers sign up for routine maintenance services on a furnace or other heating system. We can detect potential problems and explain how to correct them so you can avoid more costly repairs later on. We want everyone in Branford to be comfortable during the coldest months of the year. Join our Branford CT Home Comfort family by calling us today at 203-290-1005 or send us a message.